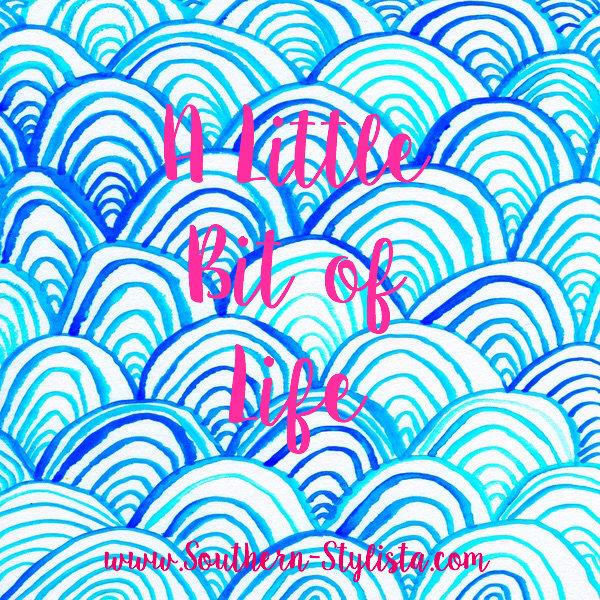 After missing last weekend's "Little Bit of Life" post, I'm so excited to be back sharing with y'all everything that I was up to in the last two weeks. Life is moving so, so quickly. . .or is that just me? Next week is going to be busy, it's my last week of internship & I have to be on campus three days next week for different end-of-semester things! I can't believe that my senior year of college has come so quickly. But moving on to what I've been up to, let's check it all out! I found these super cute sandals at TJ Maxx last week when I was shopping, they seem so high quality (although I don't really know the designer). I think they'll look so cute all spring and summer long! These aren't the same, but they're a super similar pair from Target that I think are really cute and won't break the bank! 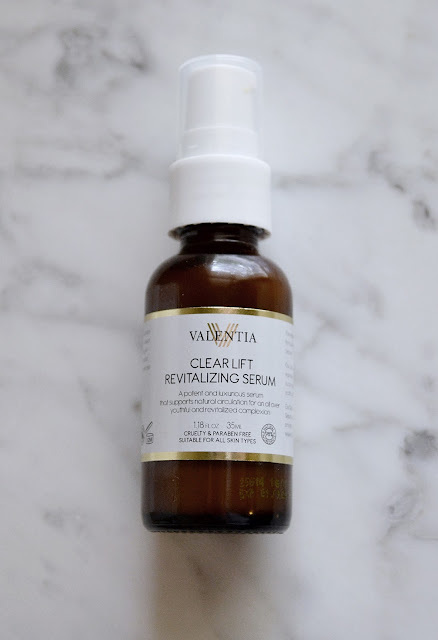 Y'all have seen me mention the company Valentia before here on the blog when I talked about their hydrating rose serum. Well they're back at it again with a new game-changer, the Clear Life Revitalizing Serum. I've preached over and over about combatting aging before the signs set in and this serum is a clear way to beat those signs. This serum is made with all natural and organic ingredients, so you can feel good about what you're putting on your skin. I love that this serum fades dark marks (goodbye, old acne scarring) and prevents wrinkles and other signs of aging. The scent is great too, a welcome change from the chemical smells of other products. Follow them on insta and Facebook for more info! And use this code JX4T7GXQ for 20& off any order from them! 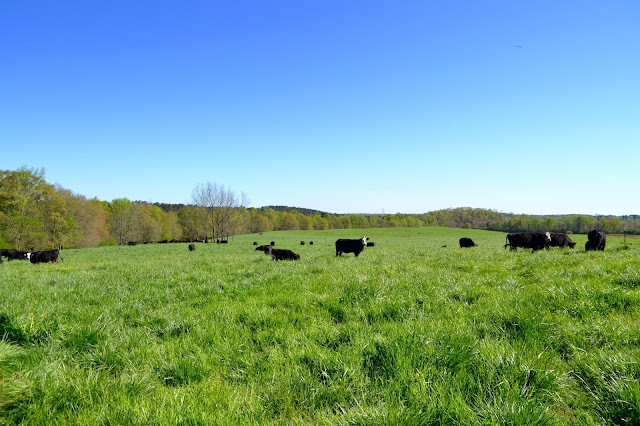 Last Sunday, my husband and I turned our herd out onto new grass and they were loving it. 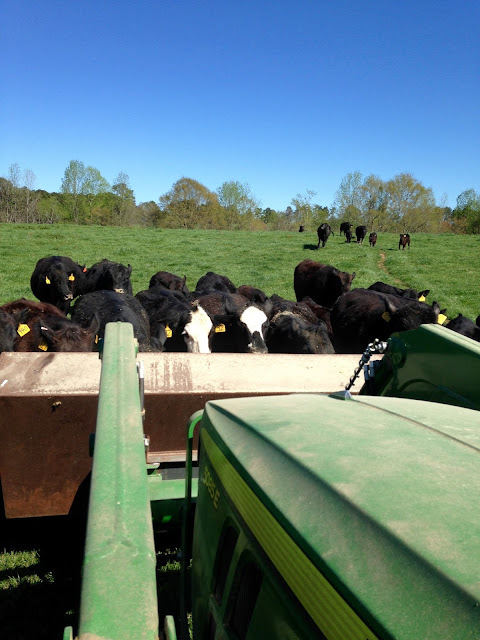 In order to get the girls to come up, we had to employ some trickery by placing feed in the bucket and tempting them to the new grass-once they got there they were thrilled! 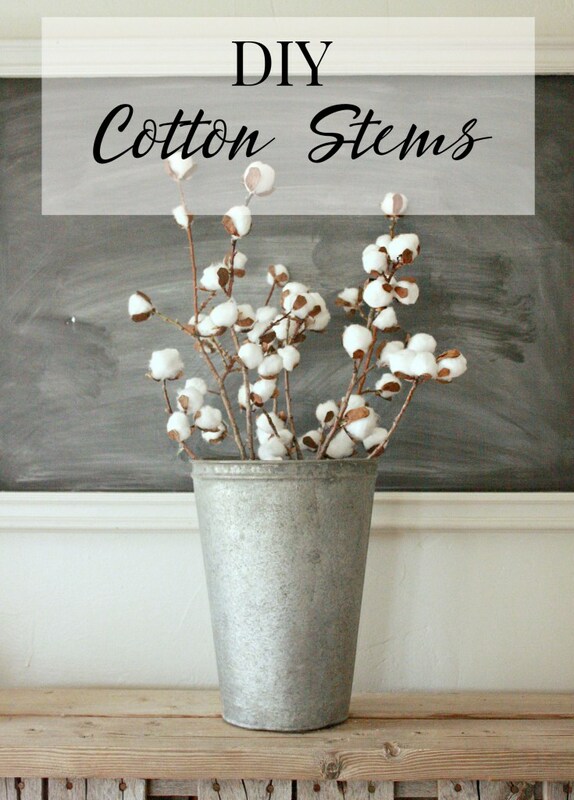 I'm really excited to try out this DIY Cotton Stems tutorial. These suckers are SO expensive at Hobby Lobby and the ones I usually see are broken and sad looking anyways. I'll definitely be trying this out soon! I have been soaking up the warm weather with my outfit choices as well. My oldest sister and I went and got our nails done last weekend and I chose a breezy white tunic, black leggings, and Jack's. I may have done a little shopping this past week as well, and don't worry-I don't plan on mixing the stripes and gingham in real life! 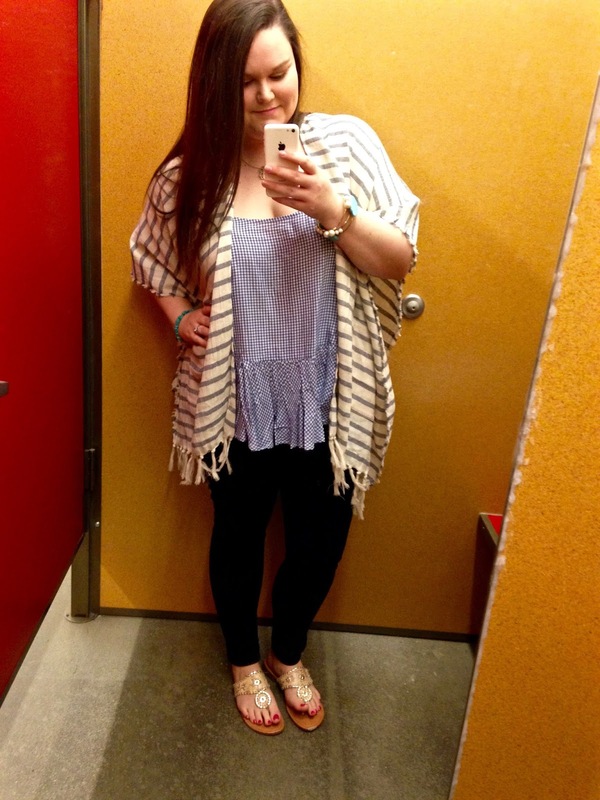 I did love this Old Navy wrap, but I just picked up the tank top instead! Unfortuntely, I can't find the top online in gingham-but they have it in solid white, several plaids, and a couple of other cute prints right now! The wrap/poncho is on sale right now for $16-and it has pockets! I don't care who you're voting for when the November election comes around, this skit is SO funny. I'm a lover of politics and an even bigger lover of SNL, they always do the best spoofs of all the candidates! Have you tried out the new Caramelized Honey drinks from Starbucks? 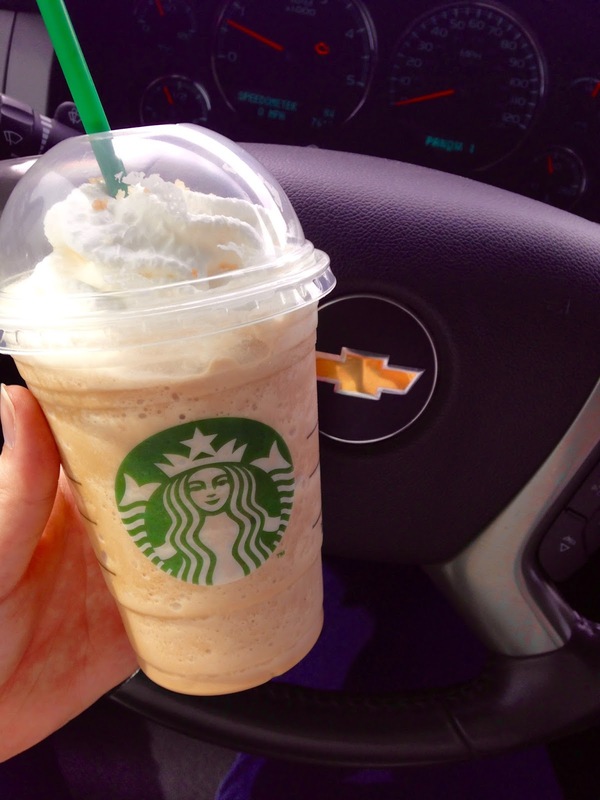 I don't ever drink Frappuccinos, but I had one in this new flavor the other day & it was delish. I love that it's Spring because that means busting out new (to me!) Lilly. I recently bought this Sarasota tunic top off of one of the Facebook BST boards and got it for a steal, it's so bright and springy but also perfect for the classroom. We've starting cutting hay just a little bit earlier this year because we're wrapping this first cutting. There are two ways to go about wrapping your hay, I hope this video below works so that you can see one way in action. It looks like we're making marshmallows! 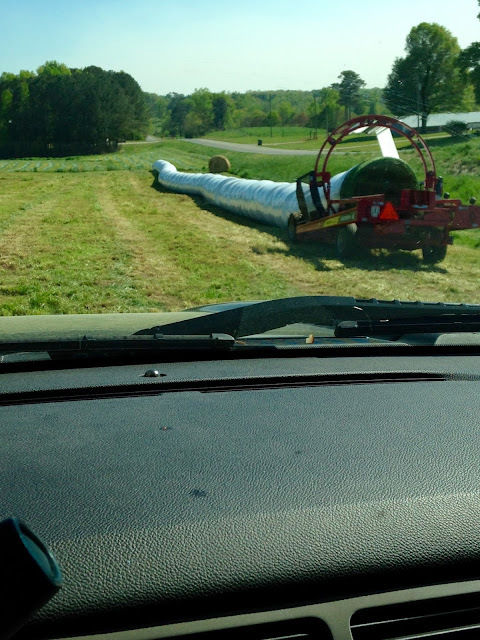 The second way is to wrap lots of bales in one long tube, both ways look pretty cool to me! 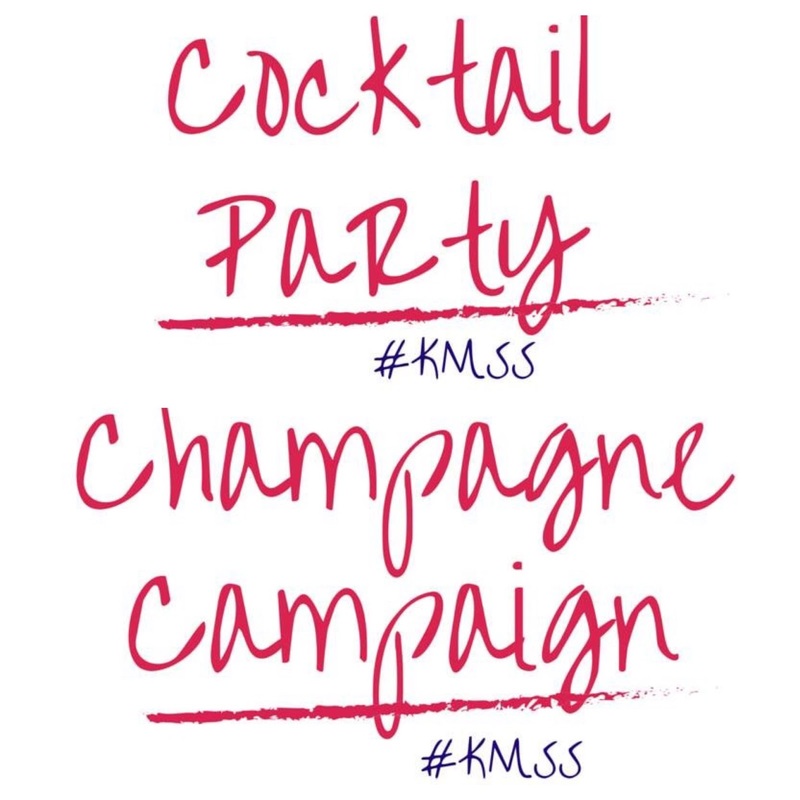 Once again for the political lovers out there, Kiss My Southern Sass has released the cutest campaign buttons for this election. 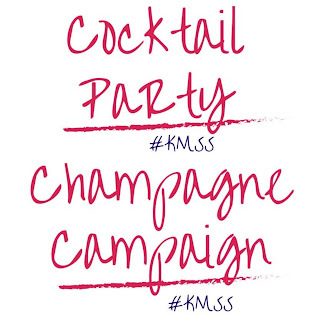 For a pack of two buttons (one saying on each button) it's only $4 with the code KMSSJSU at checkout. I think these are so fun, I'm ordering a set to keep on my tote bag but these would also be super cute on a backpack. I am the girl that pretty much sticks to the same jewelry every single day, with the exception here and there. Guys, I've found an exception. 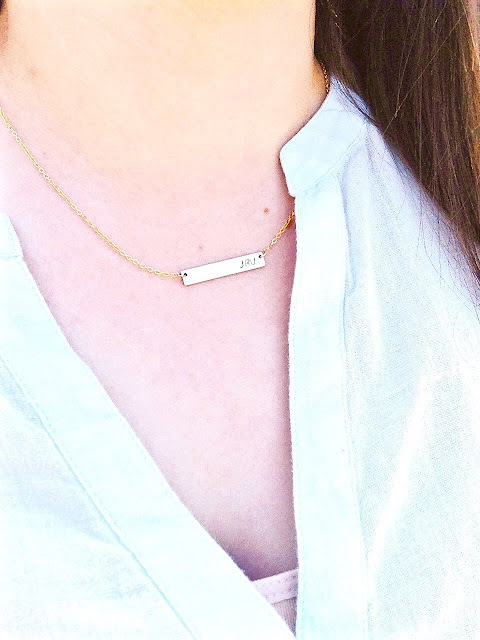 This initial bar necklace from A-List Greek is SO cute. They can do sorority letters, states, initials, roman numerals...basically the options are endless and the prices (& quality) are unbeatable. Are y'all following me on Twitter? has been my twitter handle for ages (long before this blog!) 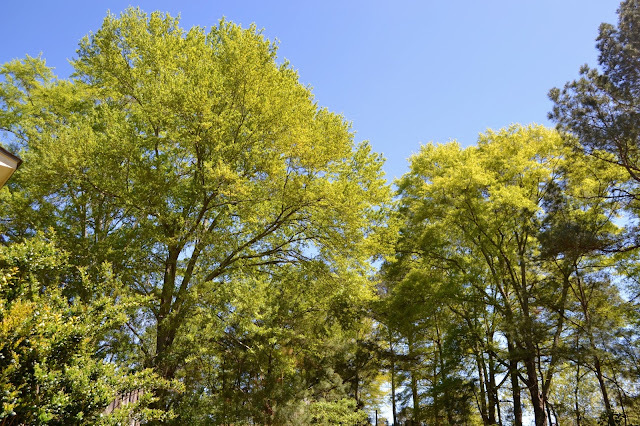 but it will be changing when Summer break begins and I begin the overhaul of this here blog. I post quotes, lyrics, what I'm up to during the day, and I even posted about the release of April's Target Beauty Box on there. Since it's National Siblings Day, read this article on "9 Bizarre Ways Your Siblings Affect You as a Grown Up"
and enjoy this picture of myself and my two beautiful sisters on my wedding day! Thank y'all so much for learning about me and what I'm loving this month in my "Little Bit of Life" series, I hope y'all each have a great week-let me know what you've been up to lately in your life down below! I'm so incredibly jealous of your gorgeous weather and spring outfits, it is still freezing cold and snowing here! Ah, those sandals are great. As for the revitalizing serum, I've never believed in anti-aging products but maybe I need to. At 29 some lines do start to show even though my husband says they don't. I'm seconding the comment above! The weather looks beautiful and your outfits are super duper cute!! those sandals are a fabulous find!! Frappucinos are my favorite, and I love the sandals you got, great find! I'm definitely with you in that life is moving way too fast. I mean, spring is almost halfway over! It looks like you've been enjoying the weather in Alabama though. Gorgeous photos! I also love that Lilly print. Yesss! The weather is extremely warm in TX right now. I will say I kind of enjoy it but I like it when its in the 70'-80's. I tried the new frap from Starbucks and I am on the fence about it. I did not that there was anything overly great about it. I absolutely love all of those outfits! I have been wanting to try a rose serum but have yet to buy one. I will have to look into the one you suggested. I like the DIY cotton stems really pretty. Love that bar necklace! I have a similar one with my upcoming wedding date in roman numerals and I could literally wear it everyday! Love the outfits. All of them. 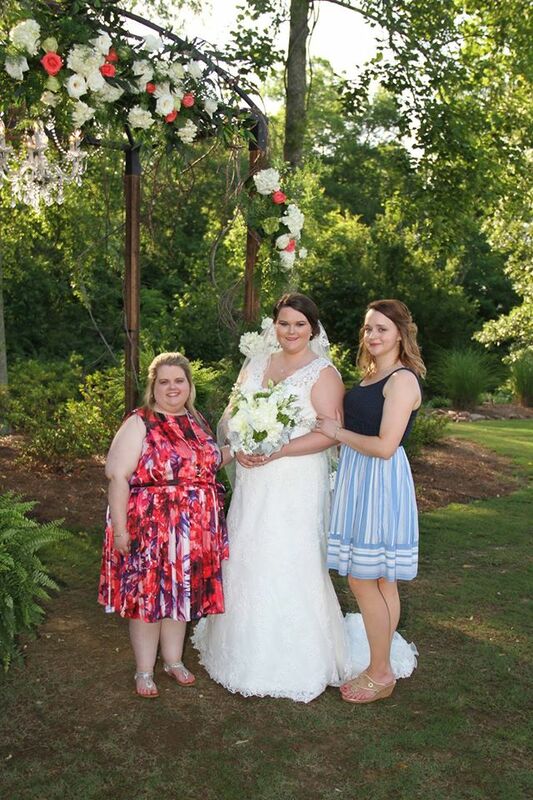 and the bride--you-- is lovely, a sweet picture of you all! 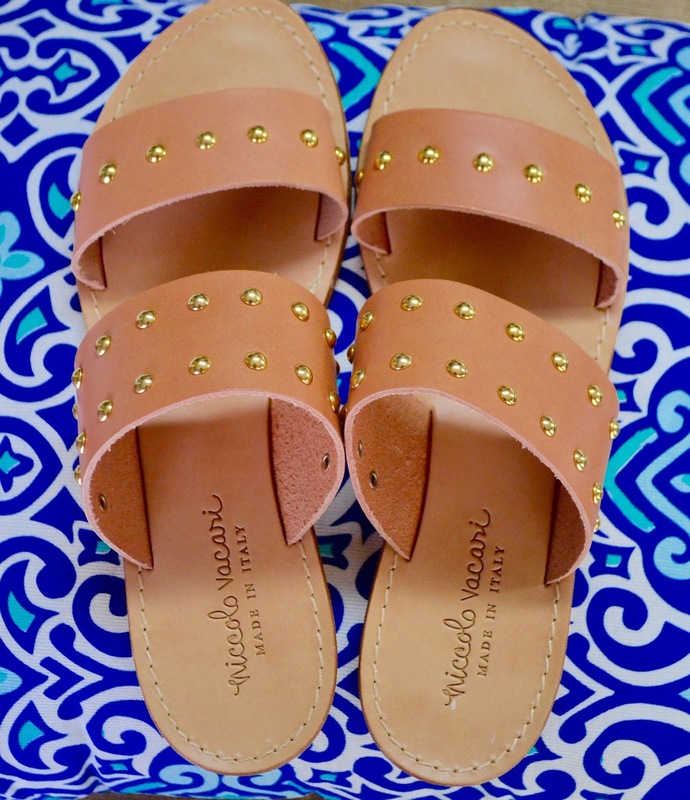 Love those shoes--I LIVE in sandals and flip flops for over half the year, so I can't ever have too many cute ones! 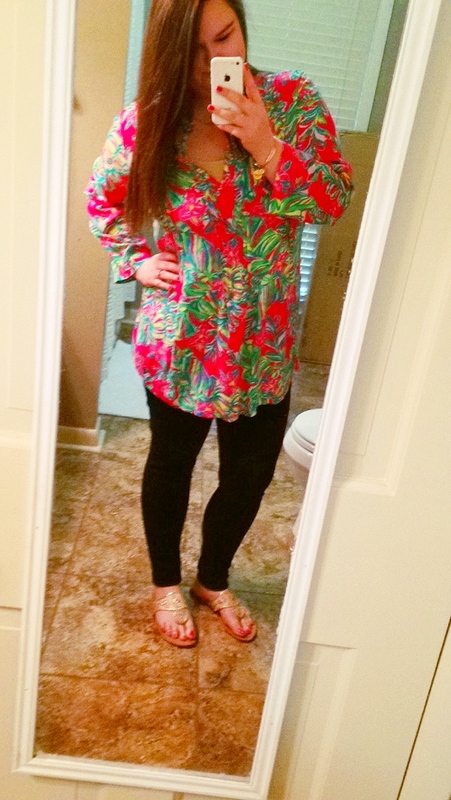 :) Also, I'm so excited about pulling my spring/ summer Lilly Pulitzer out of the closet! So much going on for you! 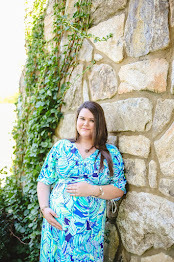 I love that bright tunic on you and am in awe that you have your own herd! I can't even imagine:) Have a great week! That wrap is gorgeous. I love how it looks on you. You should have totally gotten that too. I really love the outfits you're choosing for spring. The flowy tops are super cute! The sandals are too. So exciting! Great round up too, I am loving your tops and that cotton DIY stems look perfect to add some new decor to the house.